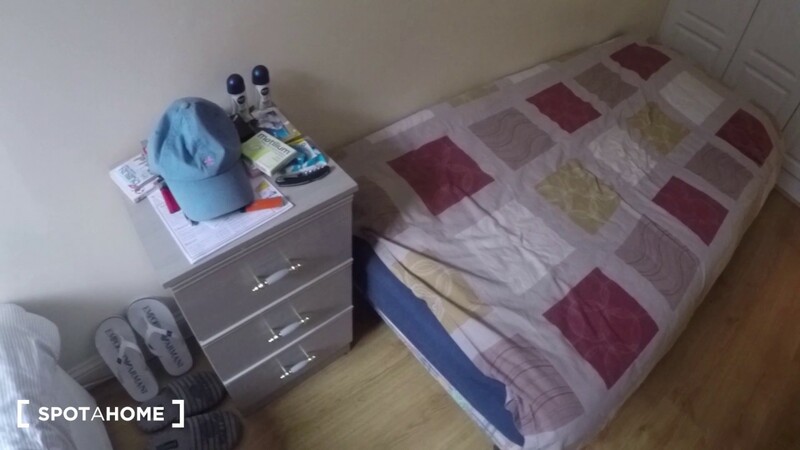 Beds are for rent in a spacious flat with a balcony situated in in Dublin's Broadstone area. The large living room is furnished with comfortable seating and a decorative fireplace which adds character. The compact kitchen is fully equipped with modern appliances. Broadstone is a very central area which is filled with historic monuments and places to eat, drink and socialise. you can walk just 9 minutes to get to Trinity College Dublin. There are several bus and tram stops nearby which provide access to other areas in the city. Trinity College Dublin is 9 minutes away. The flat is in a very central area — tenants will never be bored here. The property has a balcony. Some bedrooms feature several beds, the prices that are marked are per bed. Maximum stay: 6 months (200 days). There are several bus and tram stops nearby.